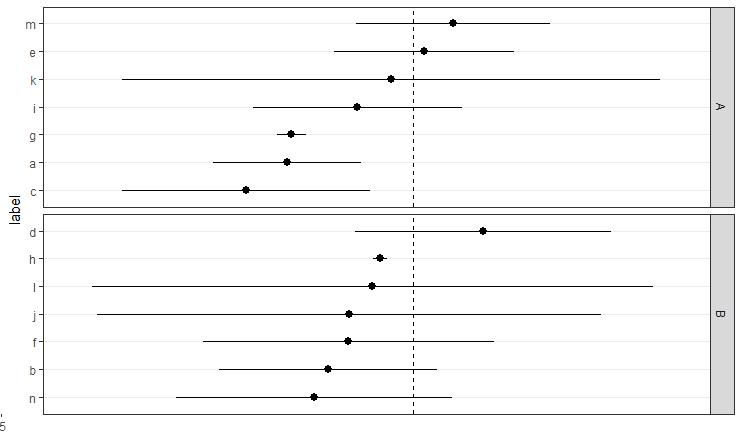 How do I annotate my forestplot correctly so that it displays my confidence intervals next to their respective labels? I have my data plotted correctly and am happy with how it looks aside from the fact that the confidence intervals are not displayed at all. Here's some dummy code I made up for the sake of my question. I've tried p1 + annotate('text', x = bloo, y = 1, label = 'test') but I yield text for all values, even the ones that do not belong in their respective grid. How do I remedy this? I'm trying to display confidence intervals in text for each individual label. Browse other questions tagged r ggplot2 data-visualization confidence-interval forestplot or ask your own question. How to change confidence interval display format? How to calculate confidence intervals for a vector? 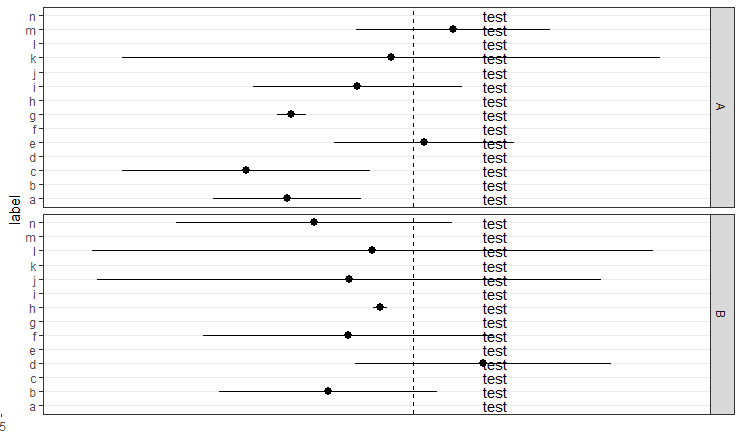 How to plot glht() confidence intervals with ggplot()? How to draw confidence bounds to better demonstrate the confidence interval on ggplot2?